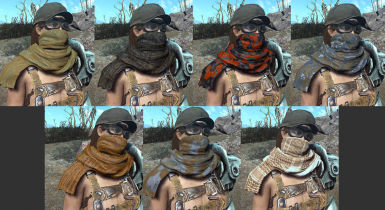 One simple scarf, over 400 possible variations of Color/Texture/Size. The first and last scarf you will ever need. Material Editor, assigning textures via materials. Outfit studio, by Ousnius, Bodyslide files. that require it, so don't worry about overwriting it when installing. After 200 years of research and development the world is finally ready for the ultimate head/neck/shoulder ornament. All the warmth you could ever ask for all packed into a single, easily modded, neck-based garment. The Uni Scarf can be built into over 400 possible variations, across 4 sizes, 7 textures, and 16 color palettes, as well as a few pre-colored/texture combos. 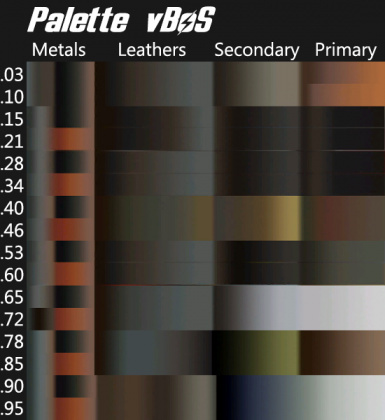 Check the screenshot section for palette guides to easily find colors you like. 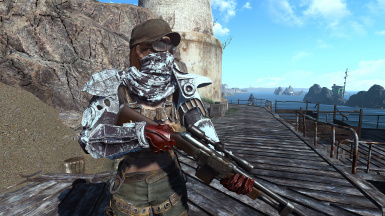 You can find the 'Uni Scarf' under the ACCECORIES tab of the AWKCR Armorsmith bench, for a mere 2 Cloth components. 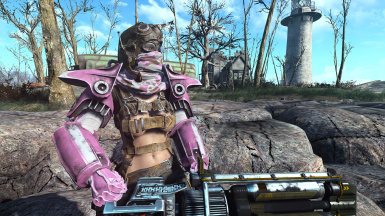 No longer needs Pre-war Cybernetics! Moved several shared components to a master file which further helps deal with the keyword cap. Added male specific versions of the four sizes. These fit better and clip less on short hairstyles. All alterations are made at an Armor Workbench. 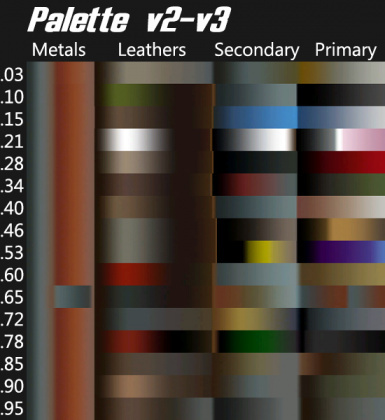 Texture changes cost 1 Cloth component, size and color can be changed freely. As well as 16 color palettes (not all pictured). 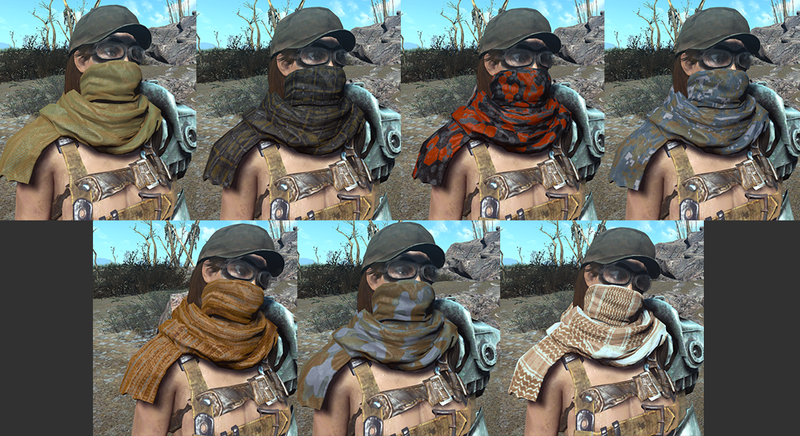 Also included in the downloads section is a PSD file with a template of the scarf UV so that you can easily make your own patterns. 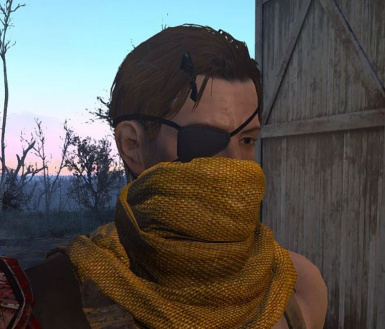 It is worth noting that the generic 'base' mesh of the scarf has had its UV altered slightly from vanilla, so that tiled textures look better on it (the shoulder flap was moved to its own area).